Oh you write up looks like from a retired bureaucrat (Federal Secretay Level) of Pakistan. You painted story of health care in Pakistan as if miracle is happening there…..please visit and see what’s happening at Mayo Hospital Lahore and Civil Hospital Karachi. You down palyed the contribution of engineers who build Mangal and Tarbela Dams and Nuclear Derant Country. How amny doctors in Pakistan opt to go to police service and media? It looks like you want country be run by a heart speialist!! I am not painting a rose tinted picture. I am only pointing out the pros of our country that are constantly being undermined by international media, enemies on our borders and many critics within who have not had the “good fortune” of living in any other country and facing its problems first hand. There is no paradise on Earth. I live in a first world country and I can tell you how many things are much more horrible than in Pakistan. In healthcare for example, I would rather go to a dirty MAO or Ganga Ram Hospital and get good medical care, medicines and procedures in a fraction of the amount we pay here not to mention the insurance we pay all our lives only to get higher premiums when we actually need healthcare in USA, etc. Again, our parents could give us a professional education because it is affordable. If you opt to get a college education in any other country you will pay an arm and a leg, and then some. Coming back to Pakistan. I cannot ignore the contribution of engineers in building the dams, my maternal uncle was one of them. And I have a huge number of family members who are engineers, architects, doctors, scientists, bureaucrats, businessmen and the list is endless including more than a hundred professionals. Everyone is very highly educated. That speaks for Pakistan in more than one ways. My professor of Medicine in USA has a brother who is a carpenter! We must first value and respect our own to be valued and respected by others. If you are seeing problems, please find a solution and get to work. If you are not part of the solution, then you are part of the problem. No one needs a town crier, we need working hands. Be one of them and inshallah we will prevail. We would give the reins of the country to anyone with half a functional brain. And unfortunately the only way we can determine that is by looking at someone’s credentials. A heart specialist, engineer or any other professional will do a way better job than a politician who is trained to lie, cheat and steal. Maybe you can be a better politician than the jokers in our assembly. And do not say I do not know what I am talking about. I am the daughter of an honest politician and I know many of these clowns sitting in government personally. If they had some shame or good family backgrounds they would not be stealing from their motherland. Islam’s teaching is a separate matter altogether. I wonder how they will face Allah after the lives they have led. Thanks for your comments and in depth analysis. I understand where you are coming from. Yes, In Pakistan Professional Education is almost free. But quality of education is going down hill coampared to our neighbouring country. Any one who wants to study here, there are plenty of ways states and Federal Govt supports students. No child is left behind as long as the kids and their parents are motivated. I am sure you came from an honest political family but why did you opt coming to US? Every smart student wants to leave that country due to compounding problems country is going through. People are very intelligent but they do not have opportunities there. Its all who you know there.Pakistan was created by Politicians and will also be maintained and put on progressive growth by the politicians!! Now I am smiling. India has such humongous problems that we haven’t even thought about in Pakistan. The AIDS epidemic, social/ cultural clashes between every other province versus the state, extreme poverty, uncontrolled population and a gazillion other problems multiplied by the population that is comparable to China only in number but is outstanding in uselessness. ‘They have more educational institutes than us’ is a comparison between apples and oranges. They have more people. Period. More of the good things and much, much more of the bad ones. The grass looks greener on the other side. Once you sit down with the innumerable Indians who are expatriates and they manage to swallow their pride you will learn of problems of such proportion that ours seem negligible. If you find no opportunity in the comforts of Pakistan, then trust me don’t bother coming to USA, UK, Canada or Europe. Life here is hard. We are here for our credentials and we are constantly adding to our country’s progress. Remember the old quote, “Be it ever so humble, there is no place like home”. I am sorry I do not know your professional background or else I would have come up with a list of things you can do to improve opportunities in Pakistan. We are running organizations for our country’s prosperity, we give scholarships to students in professional institutes as “karz e hasna”, which means they must pass on the aid to one person in their lifetime, even one of their siblings. Pakistan was made by an extremely successful lawyer named Mohammad Ali Jinnah, please do not insult him by calling him a politician. Allama Iqbal was also a lawyer, poet and intellectual. Many of the graduates of Ali Garh fueled the Pakistan movement, all were honest people who sacrificed their lives for the country we take for granted. Pakistan became a failed state when politicians decided they will run it like their father’s inheritance. I am sure you know all this and more. But again, we are on the same side. We are Pakistanis wherever we go and we will amount to nothing more than what we make of our country. So, please find ways to make things better, we have enough number of critics all over the world. Again appreciate your thoughtfullnes and elaborating compounding social issues in our neighboring country India. Yes, their exploding population will create a humongus issues in next 10 years. So does in Pakistan. I am passonate about education and more so at grass root level i.e. Primary and up to High School. I tried to reach out Asad Umar of PTI with the intent in managing to donate books of million dollars for Paktoon Khawa schools but he never responded. Our leaders love to talk on TV but in actions, they are no where. In any national change, first comes the Philosopher; in our case Dr. Ilama Iqbal, then comes the change agent i.e. 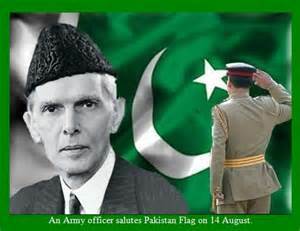 a Leader, in our case Muhammad Ali Jinnah. Yes, by Profession and training, he was a Barriester but by actions, he was a Leader and a Politician. There is always a hidden politician in all of us irrespective of our Professional affiliation. I was very successful and Professionally satisfied working with the top Leader/CEO of the biggest organization in Pakistan. It’s due to his support by garnting me leave of absence to go abroad for a graduate studies. Unfortunately, that Plant is closed now imapcting livelihood of thousands families.